December 5, 2017 (U.S.) - Eight entrepreneurs from across America who founded mission-driven organizations focused on criminal justice system reform have been selected to be part of the first cohort of the Unlocked Futures accelerator program. Both for-profit and nonprofit models are represented in the first cohort, and the entrepreneurs will receive capacity building funding and support to grow the impact and reach of their organizations, behind a shared goal of ending mass incarceration in America. Amanda Alexander, Detroit Justice Center (2nd row, center in photo above): Builds equitable cities and remedies the impacts of incarceration in the U.S. by delivering community lawyering services, economic opportunities, and other ‘Just City’ solutions. Will Avila, Clean Decisions (1st row, left): Employs returning citizens (ex-offenders) in a commercial cleaning service and leads Changing Perceptions, a nonprofit helping individuals coming out of incarceration to develop an ownership mentality - in their future, their community, and ultimately as an entrepreneur. Marcus Bullock, Flikshop (2nd row, left): Provides inmates the ability to receive mail from a mobile app every single day from their loved ones. Jason Cleaveland, Obodo (1st row, right): Helps direct service nonprofits, especially those dealing with homelessness, addiction, and reentry - through a technology platform - to streamline their data, outcome, and training systems. Teresa Hodge, Mission: Launch, Inc. (4th row, left): Introduces technology and entrepreneurship to formerly incarcerated individuals as a way of ensuring self-sufficiency; manages the Rebuilding Re-Entry Coalition, a citizen-led movement committed to creating a more just and inclusive society for returning citizens. James Monteiro, Re-Entry Campus Program (3rd row, right): Works within and outside the Adult Correction Institution of Rhode Island to ensure that adults in transition homes have a college degree pathway that is integrated into their post-release support systems. Topeka Sam, Ladies of Hope Ministries (3rd row, left): Helps disenfranchised and marginalized women transition from incarceration back into society through education, empowerment, spiritual development, and housing. Dirk Van Velzen, Prison Scholars Fund (2nd row, right): Keeps formerly incarcerated individuals from re-entering prison by creating educational opportunities for success in their communities and life. Each entrepreneur will receive a one-time unrestricted grant, as well as one year of professional leadership coaching and capacity building support from New Profit. The goal is to help catalyze the growth and impact of each organization. In addition, New Profit, FREEAMERICA, and Bank of America will work with the entrepreneurs to share their stories and build collective will in support of criminal justice system reform. 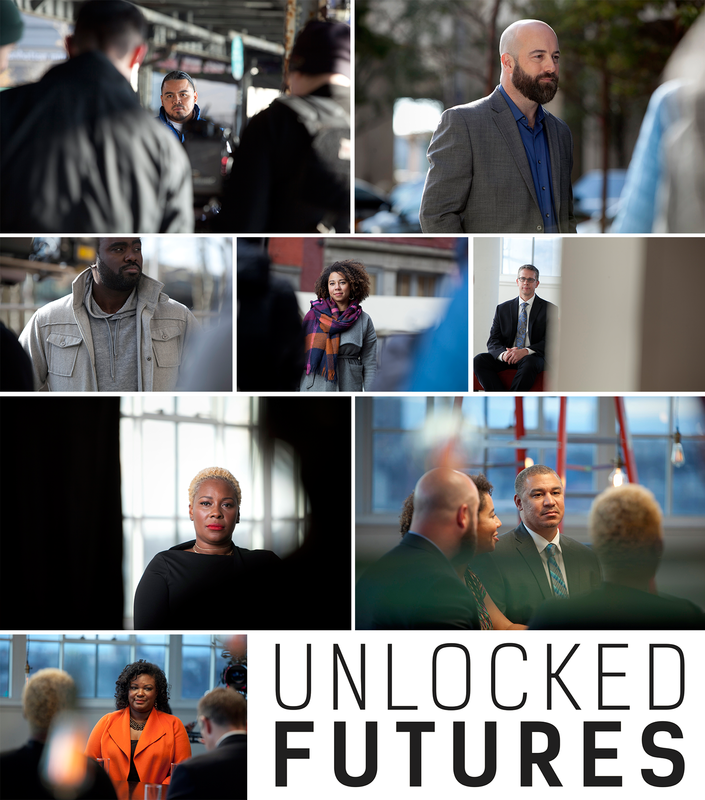 Unlocked Futures, and the entrepreneurs participating in the program, aim to drive meaningful progress to address key challenges related to America’s criminal justice system, which currently houses 2.2 million individuals, costs taxpayers $80 billion a year, and disproportionately affects communities of color. Up to 60 percent of formerly incarcerated individuals remain unemployed one year after release, and partly as a result, more than four out of ten return to prison within three years.